Welcome to our Bristol travel section. Here you'll find information on Bristol Airport, railway routes, coach links and local bus services. 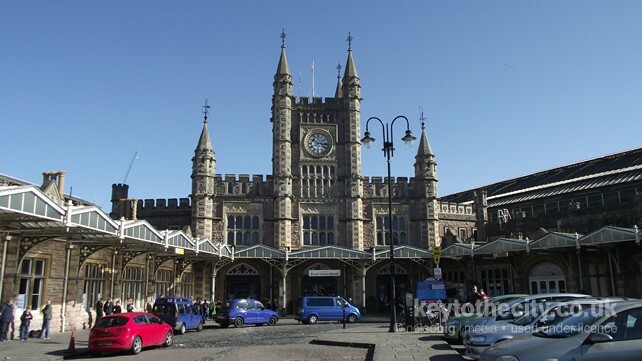 Bristol doesn't have an integrated transport system which means local trains and buses operate independently of each other - although they are owned by the same company. You can't buy a travel card to use across all types of transport in the city and beyond. See below for some other ticket options. Many people think that this monopoly of public transport services in the region is wrong. There is limited public transport in Bristol during the night with several bus services continuing to 2am. Currently the bus to Cribbs Causeway operates all night. Bristol Airport is within easy travelling distance of the city centre and is located to the south west of Bristol in North Somerset. There are also good transport links from Bristol to London Heathrow and London Gatwick airports too. Bristol has relatively good rail links to the rest of the UK. There are direct services to London Paddington, Bath, Cardiff, Birmingham, Manchester and the north of England. The operation of some of these services leaves a lot to be desired. Bristol is well connected by Road Transport. There are two coach operators competing for business which have greatly reduced fares between Bristol and London. Local bus users aren't so lucky with First Bristol operating a near monopoly in the city. Bristol is rightly proud of its floating harbour and both public and private pleasure boats fill the water. From tours on The Matthew to just a trip on one of the ferries, there is a lot on offer. Driving through Bristol during the morning and evening rush hours is very difficult to say the least! In this section we will feature information on main routes through the city and parking in Bristol.